Such is the classy clarity to Don Gallardo’s music; there should be rampant rewards for putting the coolness back into easy listening. Building upon the elevated appreciation of his most recent record HICKORY, the new album lands on the listener with consummate ease. STILL HERE is getting a staggered release across the artist’s two strongholds with us Brits getting a first bite of the formal cherry ahead of his American compatriots. In the hybrid world of independent music, genre lines are as blurred as digital borders, but whether delving into folk-rock, classic country or sensitive singer-songwriter this album scores highly and ensures not a moment of its twelve-track/forty-three minute existence is wasted. Once again, Clubhouse Records have played a part in getting this record to market in the UK in association with Don’s US operations. This review may be going out just as a short run of dates over here has concluded, but expect him back soon to renew this bond created. In lieu of the live acquaintance, the craft of the new album supremely compensates. For this record, Don has kicked the solo writes generally into touch and hooked up with a series of Nashville co-writers. Familiar names to UK audiences jump out immediately in Doug Williams, Robby Hecht and Tim Easton. The first of these teamed up for the most country sounding track on the album, and a traditional one to boot (ah sorry, replace traditional for real). ‘The Losing Kind’, complete with sad song syndrome and dreamy steel, hits the spot where so much of the modern take fails. Of the two Robby Hecht contributions, ‘A Boat Named Harmony’ stands out, largely due to the presence of another UK favourite Erin Rae on harmony vocals. Tim Easton chips in on the album closer ‘Trains Go By’ as we are taken on another Don Gallardo wanderlust spin as intimated in the line ‘taking all that’s with you as the river flows to Baton Rouge’. A mellower offering, acting as the perfect send off. After a solid start from the philosophically titled ‘Something I Gotta Learn’, the album really kicks into gear with the third and fourth track. ‘Oh Jane’ comes first and appeals due to its country stroller rhythmic pretensions and a distinct direct line of communication in the narrative. ‘Same Ol’ Alley Talkin’ Blues #12’ came to life after a recent live show with the origin being revealed as a character led to Don via his touring partner Travis Stock. Apart from the ear pleasing sound dictated, a touch of social commentary is throw in alongside the whiskey and the useful banjo segment. Elsewhere on the album, the mid-tempo ‘Kicking Up the Pavement’ slots neatly into the early stages, while ‘The Bitter End’ and ‘Stay Awhile’ segue as the record moves into its second half (or side two if you take the vinyl route). The first of these has been around a while and flows swimmingly with more pedal steel. The other sees an experiment with clarinet to provide a jazzy feel. The double role of architect and producer keeps Don in charge and suggest that despite the enlisting of many fine helpers, it remains exactly how he wants his recorded music to portray. From start to finish, STILL HERE sparkles with a cultured sheen and reveals an astute artist in prime form, over a decade since they decamped from a West Coast home to thrive in the creative song- writing cauldron of Nashville Tennessee. 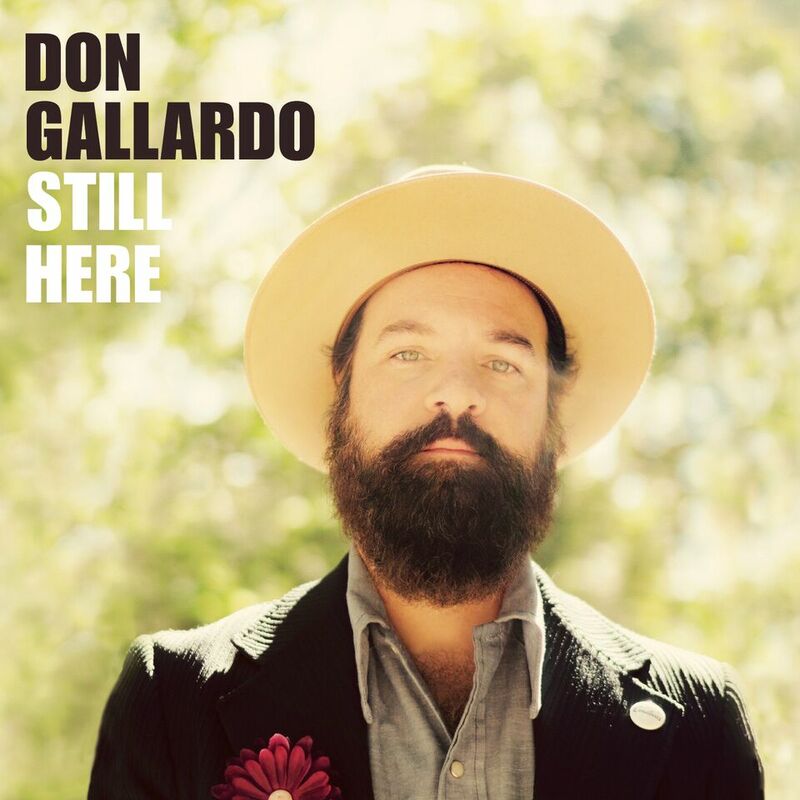 There is crispness to the way Don Gallardo makes music and in turn, this creates a reassuring and fulfilling experience when dipping into his records. Tapping into this uncomplicated, natural and refreshingly organic album is the smart choice to unlock the skills of an artist who makes the undoubtedly difficult skill of crafting an excellent record look remarkably easy.